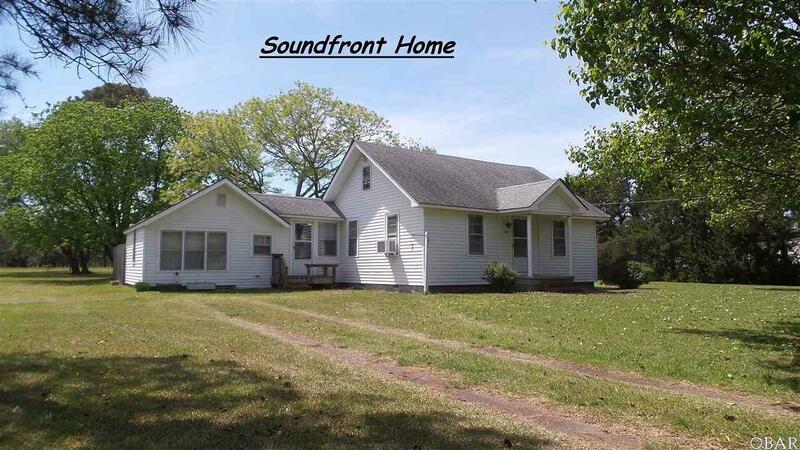 What an absolutely charming soundfront home with wonderful views of the Currituck Sound and the Currituck Lighthouse in the distance. The location is just off the beaten path offering a very peaceful atmosphere but still just a short 25 minute drive to the beaches of the Outer Banks and about 40 minutes to the Va. line. This could be the perfect weekend getaway or primary residence for the right buyer. The large lot should give you enough room to spread out in the future if desired. Nice high elevation in the X-Flood Zone. Listing courtesy of Martin Griffin of Coldwell Banker Seaside Realty.